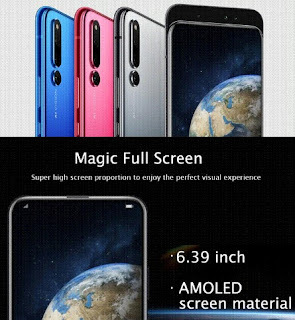 • Screen: 6.39-Inch Size Full Display.. 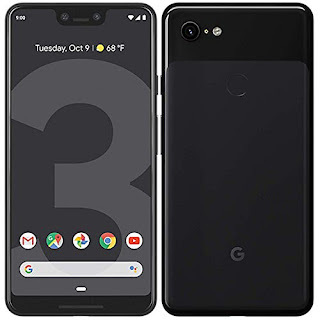 Resolution: 2340 x 1080 Pixels..
• OS Platform: Magic UI 2.0 Operating System (Based on Android 9.0)..
• Storage Capacity: 128-Gigabyte Read-Only Memory (ROM), 8GB Random-Access Memory (RAM)..
* External memory cards are not supported..
• Processor Unit: Huawei Kirin 980 CPU, Octa Core 2.6GHz, Mali G76 Graphics GPU..
• Image Capturing Features: Dual 24.0MP+16.0MP Rear Cameras and Dual 16.0MP+2.0MP Selfie Cameras..
High Resolution Photos/Pictures - Formats: JPEG, PNG, JPG, GIF, BMP..
High Definition Video Recordings and Calling..
Playback Formats: MP4, AVI, MPEG4, H.263, H.264, RMVB..
• Networks Bands: 4G FDD-LTE, 3G WCDMA, GSM ~ CDMA.. Supports Double Nano SIM Cards, Dual Standby..
• Wireless Internet/Connectivity: WIFI 802.11b/g/n/ac, Bluetooth 5.0..
• Sensors: Fingerprint, Infrared, Gravity, Gyroscope, Accelerator, E-compass, Light, Hall..
• Audio: Built-in speaker, microphone, earphones with output adapter, port..
Playback format: MP3, MP4, AAC,AMR-NB, AMR-WB, Midi, OGG, FLAC..
Comes with Type-C Quick Charger and Cable..
• Dimensions: 6.19 x 2.96 x 0.33 inches, 0.2060 kg..
Category: Phablet, Phone, Smartphone, Tablet..